International Istanbul Film Festival (IFF) was launched in 1982 by the IKSV (the Istanbul Foundation for Culture and Arts). As the biggest film event in Istanbul for almost 35 years, it has been a unique space for Turkish, Kurdish and other filmmakers whose films would otherwise struggle to find a space in the commercial distribution and exhibition networks. The IFF’s history is also marked by several important political events, related to cinema in Turkey. For instance, in 1988, the RTÜK (Radio and Television Supreme Council of Turkey) intervened on the screening of five films at the IFF. Elia Kazan, the head of the Golden Tulip Jury in 1988, organised a protest with other filmmakers and jury members. Upon these protests, the Turkish Ministry of Culture issued a decree holding all international film festivals in Turkey exempt from the censorship of international films. 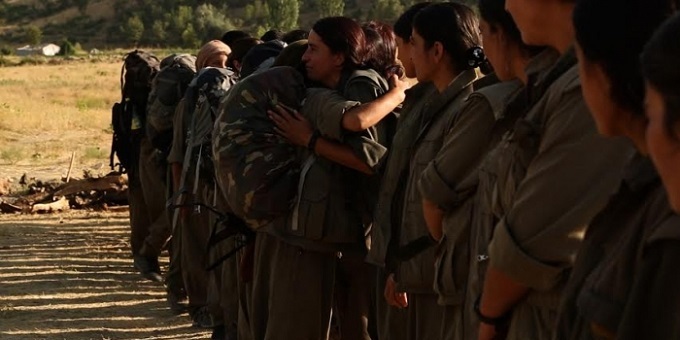 During the IFF in 2015, the censorship of a documentary called Bakur (Çayan Demirel & Ertuğrul Mavioğlu, 2015), depicting the Kurdish guerillas’ every day life in the North Kurdistan, resulted in wide-ranging protests, such as the directors’ withdrawal of films from the IFF and the protests at the Atlas movie theatre[i]. For more than five years, the IFF was also marked by the Emek movement, which launched in order to protest the demolition of the film festival’s symbol venue, the Emek (Labour) movie theatre. This movement was attached to the film festival, as the audiences of the IFF protested the demolition during the festival’s time period, alongside the artists, architects and similar groups. This year, instead of the Emek movie theatre, the new ‘monster’ movie theatre or the fake Emek (as it is now called by many) within a shopping mall stands out. The Emek movement is over now and the collective efforts of the scores of organisations could not have bear the fruit in 2016, as the new Emek was standing there. However, hope was still there. In 2016, the IFF took place despite all the social and political problems that Turkey and Istanbul faced. In the midst of growing chaos in Turkey especially in the Kurdish region, and despite the bombings in the cultural and touristic centres of Istanbul, the IFF continued its journey. Due to the increasing impact of bombings and police violence in Istanbul, the social movements and cultural events in the city lost their previous visibility, power and density. In this context, although the number of audiences was less in comparison to previous years and the ‘international’ aspect of this international film festival was on decline, the movie theatres were still nearly full especially for the films from Turkey. This year, it was also a new era for the IFF, as Azize Tan, who curated the film festival from 2006 to 2015, no longer works for it. In my experience of the IFF, it is quite embedded within the context of the New Cinema in Turkey. Czach (2004) relates the growth of Canadian cinema to the rise of the two main film festivals in Canada namely the International Toronto Film Festival and Montreal World Film Festival. ‘Although there is a problematic nature of film canons and their exclusionary politics, there is still a vital link between the rise of a film canon or an industry and the popularity and appeal of film festivals’[ii]. In Turkey, Antalya, Adana and Istanbul Film Festivals are the biggest and most popular events in comparison to other film events and they are highly responsible for the growth and popularity of the New Cinema in Turkey. Each year, the IFF hosts the national competition and ‘out of competition’ sections, which feed the new directions in the cinema of Turkey. 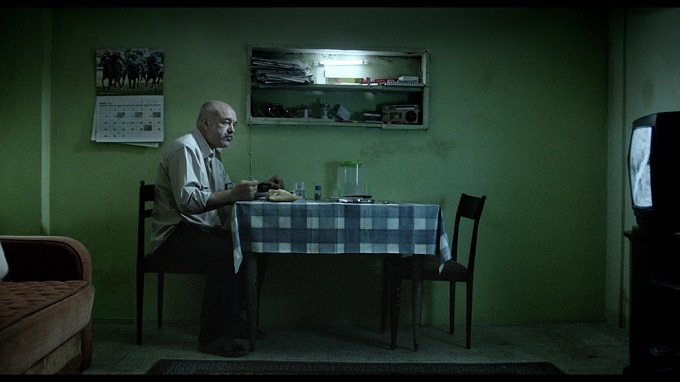 For instance, the festival’s most prestigious award, namely the Golden Tulip for the national competition, went to Ben O Değilim (I am not Him, Tayfun Pirselimoğlu, 2014) in 2014, whose powerful appeal lies in its acting and the use of spaces like the outskirts of Istanbul and the interiors of shanty towns in Istanbul. However, Ben O Değilim and other popular ‘festival films’ from Turkey such as Itirazım Var (Let’s Sin, Onur Ünlü, 2014) or Kasap Havası (Wedding Dance, Çiğdem Sezgin, 2015) can be regarded as typical examples of New Cinema in Turkey, which seem, as Suner (2010) argues, ‘disinterested in the stories of women and subordinate women to men, denying them agency’[iii]. New cinema of Turkey has thus been a predominantly male-centred cinema, mostly run by male directors and/or revolved around male representations. Although directors like Yeşim Ustaoğlu, Pelin Esmer or Belma Baş made women’s voices heard through their films for a while now, ‘men’s films’ were still by far the most popular both in the commercial and art-house cinemas in Turkey. This situation is slowly changing due to the increasing numbers of films being made by women directors, such as the abovementioned directors, Aslı Özge or Ahu Öztürk. This year, Ahu Öztürk’s film Toz Bezi (Dust Cloth, 2015) won the Golden Tulip award, which is an important step for women’s cinema in Turkey. The film depicted the story of two Kurdish women that moved to Istanbul, who face various hardships both in their private and public lives. Added to this, Öztürk succeeds in getting great performances out of her cast, especially the protagonists Asiye Dinçsoy and Nazan Kesal. While the camera follows two women from their apartment in the outskirts of Istanbul to the wealthier middle class houses in the centre of Istanbul, as the two are cleaning ladies, the spectators experience their poverty-stricken lives throughout, which is not only dependent on their class positions but also their ethnic and gender identities. It is also important to note that the whole crew, except for the co-producer Stefan Gieren, the whole crew of the film is constituted of females. During the closing ceremony, Öztürk devoted her award to the women who sought for peace in Turkey, from the peace mothers in Kurdistan to the women academics in prison, who are signees of Academics for Peace declaration. The festival hosted the Golden Tulip award from 1985 onwards, but what was new about the IFF this year was the introduction of a new award for documentaries. In the midst of ‘documentaphobia’ in Turkey, which can simply be described as the fear of documentaries depicting ‘realities’[iv], film festivals in Turkey such as the Antalya Film Festival cancelled their entire sections on documentaries and the IFF last year could not have maintained a powerful and consistent stance in order to keep Bakur’s screenings at the festival. Based on the recent happenings in Turkey and the general submissive stances of film festivals, this new award is a mistral of fresh air. Two documentaries from this section stood out amongst others, Beyaz Çınar (White Sycamore, Kazım Öz, 2015) and Hazır Ol! (Attention!, Onur Bakır and Panagiotis Charamis, 2016). Kazım Öz’s documentary focuses on the life story of an artist from Hozat, Dersim, whose expertise ranges from instrument-making to lyric-writing and even beekeeping, while also illustrating the diasporic connotations of being Kurdish in this world. Both Beyaz Çınar and Hazır Ol! have humanism and optimism hand in hand with grit in their depiction of harsh realities and taboo issues, which is usually absent in the new cinema in Turkey. Interrogating the question of military service in Turkey, Hazır Ol! not only expands the limit of first person documentary-making, but also adds a very satirical tone to the general ‘serious’ style of the documentaries in Turkey. Above all, Hazır Ol! presents an important level of subjectivity as in ‘personal is political’ by foreshadowing a personal story of a young Turkish male, who has to serve in the armed forces and remains between the choices of going there and doing it or paying 18000 Turkish Liras for not going there. The film offers tenderness and hope and in the end, the last scene displaying the smiling face of the protagonist in Hazır Ol! could be interpreted as a hopeful metaphor for the way out from the authoritarian turn in Turkey, outcomes of which cannot be easily traced. [ii] Czach, L., 2004, Film festivals, programming, and the building of a national cinema. The moving image, 4(1), pp. 76-88, 80. [iii] Suner, A., 2010. New Turkish Cinema: Belonging, Identity, Memory. London: I.B. Tauris, 163. [iv] For a detailed analysis of the documentary ‘crisis’ in Turkey, see Necati Sönmez’s Belgesel Korkusu: Documenthaphobia, 15 April, 2015. http://bianet.org/bianet/siyaset/163813-belgesel-korkusu-documentaphobia (last accessed on the 2nd of May, 2016).